This is a set of JConcepts Inverse 2.2 12mm Hex 1/10 2wd buggy front wheels. 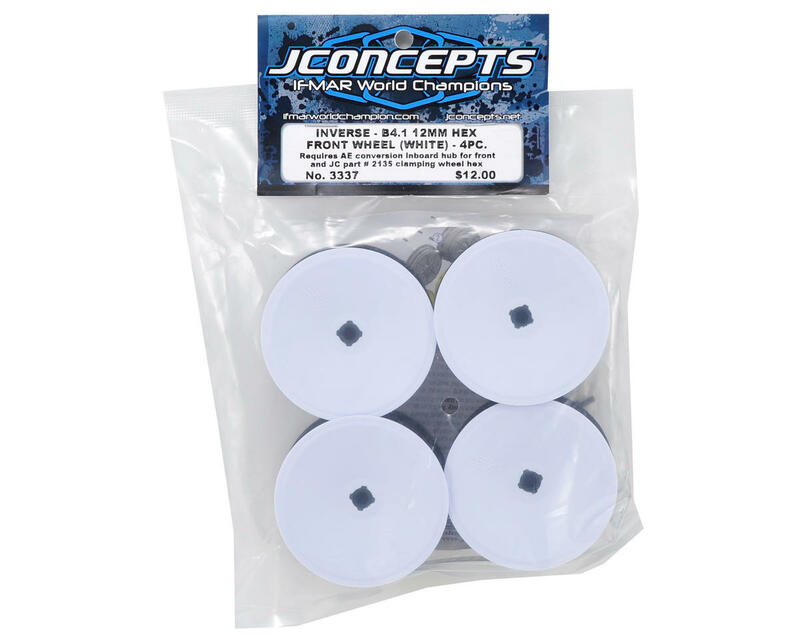 JConcepts is rocking the world once again with the debut of the Inverse, 2-piece 12mm hex wheel for the B4.1. The 2-piece design provides several benefits for maximum performance and ease of use. The inner wheel comes standard in a stealth, black matte finish providing the driver a look and feel never seen before. In addition, the inner wheel is designed as a completely smooth surface for the cleanest fit and finish which resists debris build-up. Previous industry standard designs with heavy ribbing have a tendency to catch debris which affects balance and weight and especially on surfaces with a lot of surface loam or loose dirt. 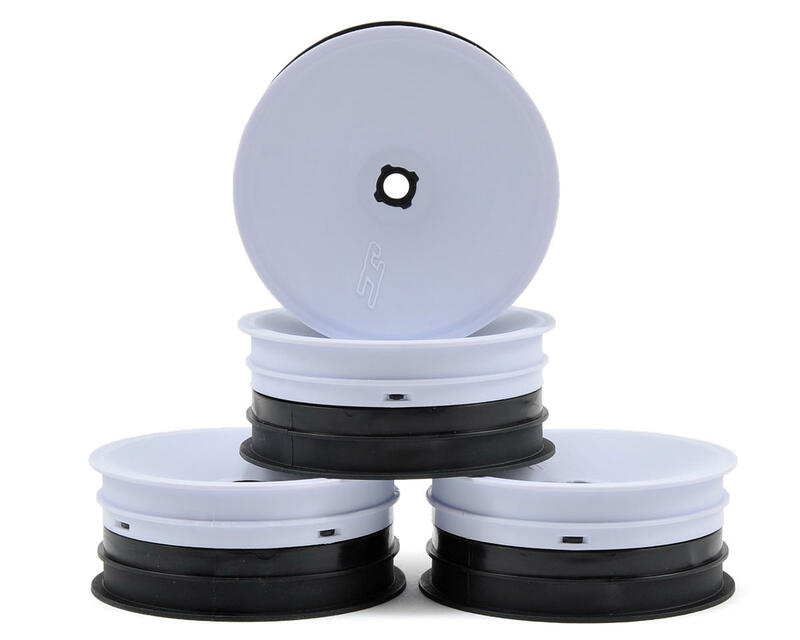 The outer dish, available in bright white or fluorescent yellow is creatively interlocked with the wheel and with the addition of inner screws and interior ribbing provide tuned rigidity. While utilizing the 4 screw combination from the inside, the Inverse wheel provides a stable and highly rigid wheel which allows the transfer of power through tire, wheel and insert minimizing overwhelming wheel flex characteristics. The Inverse wheel face also incorporates a user friendly wheel face shaped to promote a smoother gluing, wiping and drying experience. Wheels are branded with the JC logo for brand identification and authenticity. The Inverse wheel package forms a light-weight, clean design that is pure JConcepts style and function. 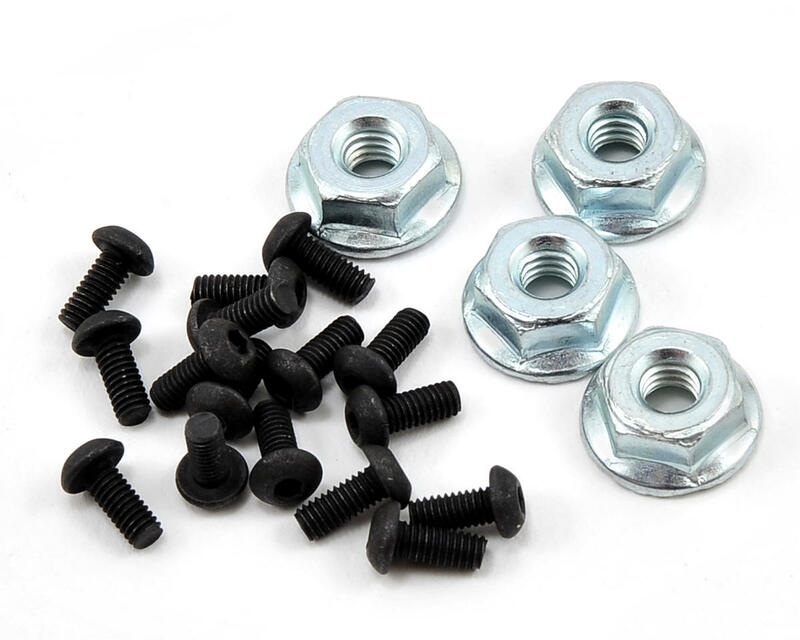 Secure the wheels to the vehicle, use only the included flanged steel locknuts for B4.1 or JConcepts JCI2075 (blue) JCI2076 (black) serrated wheel nuts. Flanged nuts completely cover the interlocking tabs located near the center of the wheel which correctly connects the 2-piece design. 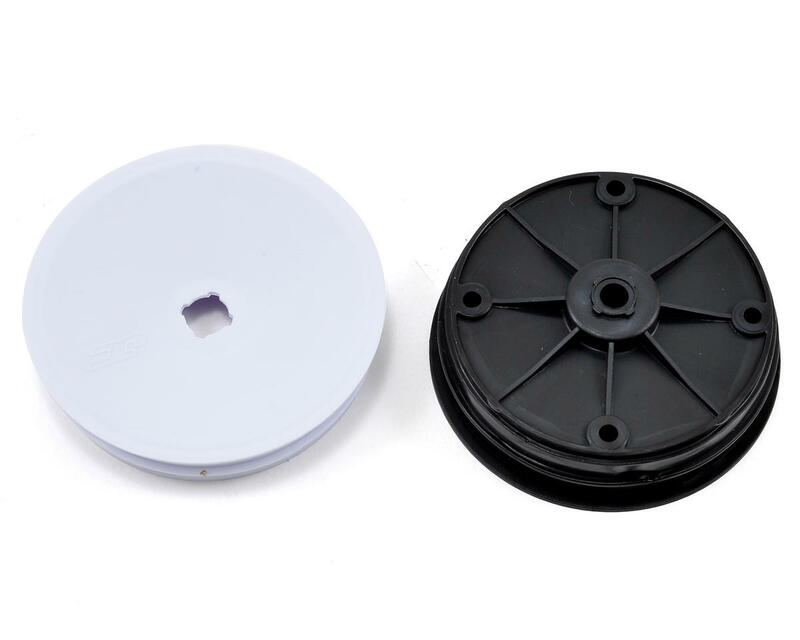 Using this wheel on any buggy requires a flanged lock-nut or washer to cover the center tab configuration. This happened with every single wheel and thus, NOT a fan. Their regular dish wheels are far superior to these. If only AKA sold wheels in bags of 4 like JC at a similar price point. BEST Wheels in the industry. I've been using this style of wheels for some time now and they are awesome. Just a touch heavier than your typical wheel because of it's two piece design but this keeps the inside from trapping dirt and dust. This keeps the wheel balanced on those wet clay or muddy tracks. I measure them to be about a gram heavier than your standard one piece wheel. This might be a little heavy for stock, especially if you are comparing to an EVO or 60mm wheel. RB6 will require at least .5mm spacer per side or they will run on the spindles. DEX210v2: Many convert the DEX210v2 to use Kyosho 12mm front axles and these wheels work well with that combo.